There are reports from Switzerland that Johan Djourou has seriously damaged his knee, which forced his withdrawal from the game with Newcastle yesterday. The 24-year-old was withdrawn by Arsene Wenger two minutes into the second half, hobbling off the pitch. The Swiss media are reporting that the central defender has injured his knee cartilage. How long this will take to heal is as yet unclear. 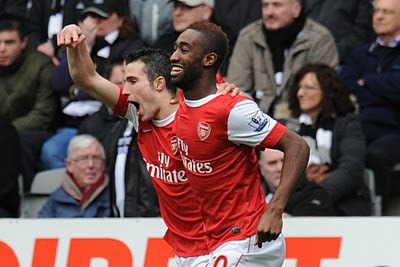 Djourou, who scored his first professional goal for Arsenal yesterday in the 4-4 draw, missed virtually all of last season through injury, returning only to play a substitutes appearance in the final game of the season at the Grove against Fulham.